The doctors and staff at The Malthouse Surgery in Abingdon are proud to offer the highest standard of patient-centred healthcare. 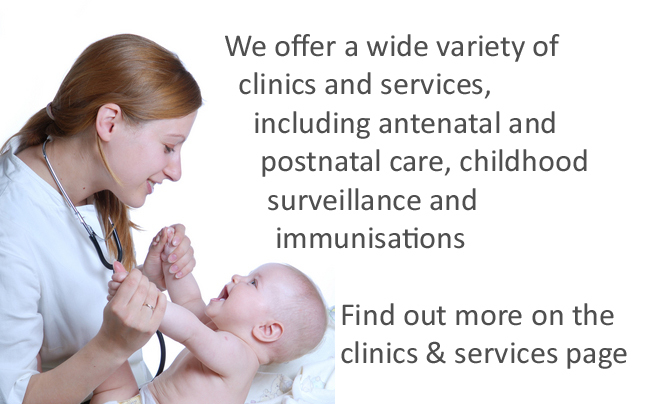 We run many clinics for the management of chronic diseases such as asthma and diabetes and offer a wide variety of other medical services including antenatal and postnatal care, minor surgery, childhood vaccinations and well-person check-ups. We have a range of different staff to support you, including GPs, nurse, HCA, Clinical Pharmacist, physiotherapist and care navigator. Book routine appointments with a GP or our other clinicians by phone, online or visit the Surgery. For more serious conditions where you feel there is a need for you to see a clinician urgently (within 24 hours), you will be telephone triaged during the day by a duty GP and they will discuss your medical condition and decide appropriate action. We are a training practice and have doctors who come to work and learn with us. These doctors are fully qualified and often have at least three years experience. These docotors see patients independently and sometimes video their surgery consultations. These videos are viewed and used for educational purposes only and are destroyed after 12 months. We always ask for patient's consent to be videoed and they are given the option not to take part. The Practice also hosts medical students from Imperial College in London who spend 3 weeks with us learning about General Practice.